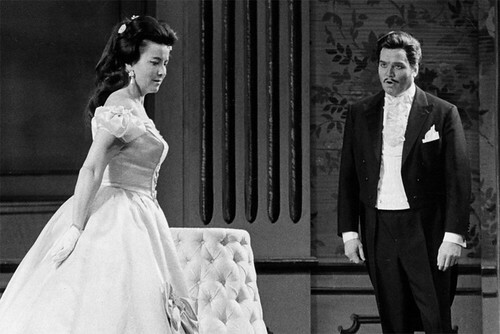 Great German baritone died this week aged 86. The performance of Falstaff on Saturday 19 May will be dedicated to the memory of Dietrich Fischer-Dieskau who died this week aged 86. The German baritone was one of his generation's finest lyrical artists and one of the most influential singers of the 20th century, famed for his interpretations of lieder as well as for his performances singing some of the great roles in opera history. He performed the role of Falstaff on 10 February 1967, conducted by Sir Georg Solti. All at the Royal Opera House send our condolences to his friends and family. I saw that Falstaff and it was wonderful - despite what 'critics' tell you. Yes, it was different to Geraint Evans and Gobbi (both great) but still distinguished in its own right. As was his Mandryka at Covent Garden in 1965 and 1967.